When it announced the a7 III in February 2018, Sony set the bar alarmingly high. What does it have in store for 2019? With Canon and Nikon finally snapping at its heels when it comes to full frame mirrorless (and Panasonic soon to follow suit), what is the Japanese electronics giant planning for the new year? 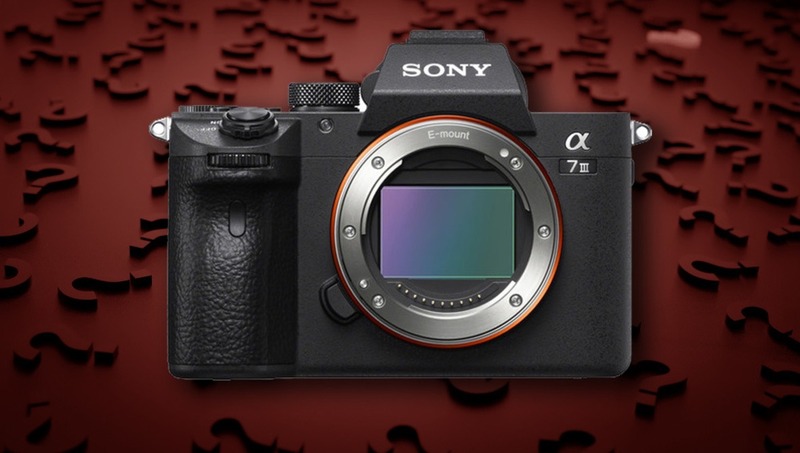 Following on from the a7R III and the a7 III, the a7S III is almost certainly not far off. The rumor mills suffered a brief bout of hysteria recently when leaked data regarding a new sensor suggested 4K at 480 fps, but the truth will be markedly more realistic. Discussion continues as to whether Sony will bless its fans with 4K 60 fps, 6k 30 fps with a crop, and, all importantly, that flip-out screen. Video shooters who love numbers will be expecting 4:2:0 8-bit internal and 4:2:2 10-bit external, with improvements to the ISO. Expect an announcement before June. Making the switch to Sony has been made relatively painless through the possibility of adapting glass, a measure that has compensated for Sony’s small number of lenses when compared to the likes of other leading manufacturers. Sony has been playing catch-up, however, and 2019 sees the promise of 12 new lenses which, as TechRadar observes, would bring its range of dedicated mirrorless lenses to 60. What we don't know, however, is what these 12 lenses will be, and the recently announced FE 24mm f/1.4 GM means that this figure might now be 11. Rumors and fake news abound regarding Sony’s high-end APS-C camera that is believed to be in the pipeline. Some seem to call it the a6700 (logical, given that it will be a successor to the a6000, a6300 and a6500), while others are going with a7000, perhaps in the belief that it will be more in line with the a7 range, albeit with a cropped sensor. Spurious specifications were posted by some rumor websites and denounced by others, with some speculating that the announcement has been delayed after Fujifilm launched the impressive X-T3. Sony engineers might well be now back in the labs trying to squeeze more performance into the a7000 before it is finally announced in 2019. Fans are hoping for 26 or 32 megapixels, the same NP-FZ100 battery found in the a7 III, 4K at 60 fps with no crop, and 10 or 12 frames per second with no blackout. If Sony can couple a flip-out screen with the improved in-body stabilization offered by the smaller sensor, they might be onto a winner. The a7R IV? Already? Seriously? As TheNewCamera.com points out, Sony would be sticking to its own timeline if it were to announce the successor to the a7R III in 2019 given the intervals between its predecessors. With that said, details are non-existent and 2020 probably seems more likely. 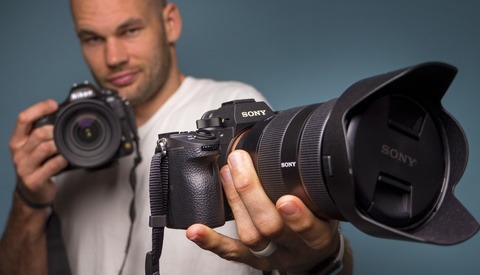 Will the a9 II Take On the Canon 1D X Mk III and the Nikon D6? No doubt the new flagship Sony monster will be a real threat to Canon and Nikon's heavyweight sports shooters, but much of the chat revolves around its video capability. There's talk of 8K, especially following on from the details of Sony's forthcoming 60 megapixel sensor that circulated a few months ago. However, grabbing 8K's worth of information is a different kettle of fish to being able to process it, though of course cynics would point out that overheating has never been something that Sony has been too worried about in the past. Cue endless arguments about whether 8K is even necessary given the output of most viewing devices, and for anyone shooting at such high resolutions, do they need that ability in a hybrid body that doubles as a beastly sports and wildlife stills camera? For me, this will be the most intriguing as it's unclear what a new version of the a9 could possibly offer over the new iteration of the a7 R, whatever that might bring. Finally a Successor to the a5100? Whatever emerges regarding the a7000, its baby brother, the alleged a5200/5300/5500 (guess the name again) is also subject to intense rumor-mongering. Sony isn't giving much away, but the a5100 was released in 2014 and an update to this compact APS-C camera is long overdue. The a5100 was a tiny body but with an E mount, making it a good choice as a backup body or as a solid vlogging option thanks to its flip-out screen. If Sony can build on this portable format and incorporate some stabilization with a decent video resolution (and even Eye AF), it might be an appealing prospect for budget-conscious hybrid shooters or anyone wanting a compact option that fits an existing collection of lenses. Perhaps the least exciting for the vast majority of us is the prospect of Eye AF that locks onto animals. Sony didn't have a huge amount to announce at Photokina 2018, but this at least gave the press something to write about. Sony's innovation over the last couple of years has transformed professional cameras, pushing boundaries with its mirrorless bodies, especially with its full-frame offerings. The challenge this year is for Sony to continue to generate the same level of progression now that the competition is starting to catch up, and arguably pushing ahead on some fronts. Let us know in the comments what you expect to see from Sony and how the other manufacturers will be keeping it in check. Kidding aside, maybe a larger (and/or higher definiton) viewfinder to accomodate the level + histogram at the same time. And, if the current lineup doesn't have it already, have the focus magnify zoom where the focus point is instead of starting off at the center. It does it where the focus point is. There are a few rumors the a7sIII might do 8K downsample to 4K (instead of the 6K they currently use). I also think the camera really has to have 10 bit internal, not just 10 bit out. With cameras like the XT3 and Blackmagic Pocket 4K, it's a hard sell if the camera doesn't do 10 bit internally. Supposedly, Sony had to go back to the drawing board a little bit with the a7sIII because of overheating issues. Which suggests, to me, some really powerful stuff going on inside. I'm no Sony fanboy or anything, but I actually think the a7sIII might really be much better than we expect. Actually some rumors speculate that the camera may shoot 8K, but I think that's highly doubtful. Ha, I can just imagine in the future people will be complaining about cameras only supporting 2 card slots. A camera with a proper grip for human hands? Fix the Remote focus "feature" they have removed on all new Full Frame cameras! I just wish Sony would start to follow Fujifilms lead and do firmware updates where they improve stuff. Like give color on focus point when you move it. Making eye detect button be a on off button and not something you need to keep pressed. The Sony 24/1.4 isn't just available for pre-order, it has been out for weeks now. Came here to report the same thing. I even own one and it’s awesome. But seriously, Andy Day please correct the article. Done. Apologies! BH seems to have it on preorder and that confused me. Actually, if all can be done as 4.2.2 10 bits without a recorder, I would love it very much more, you know? just like Panasonic is doing it already with GH5 about a year ago. I own a a6300 bought 3 months prior to the launch of the a6500 (this irritated the hell out of me). Usable screen when recording 4k. The screen dims so much that you can't see anything on it. Better ergonomic body. The a6300's ergonomics are rather bad. Far better and higher resolution evf and screen. The screen is even in picture mode hard to see in bright light (except when the sun setting is on). I have shot with Sony since their first aps-c d-slr came out but I Sony have given up on their aps-c line. They have gone balls out on their ff cameras but have completely neglected the aps-c line. Well, there is always Fuji. I hate a LOT of companies (for a few ethical reasons) and even the company I buy equipment from. im no fanboy to any company. they all just sell products and I have no emotional connection to any. but I do hope sony does well. and doesnt lose too much of the ML market now that nikon and canon are in it. sony makes canon and nikon work harder. 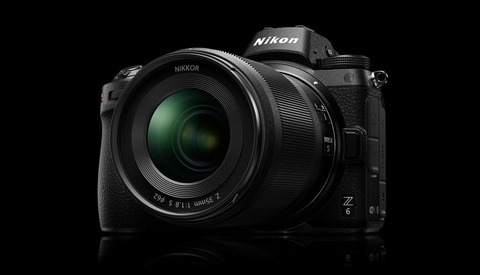 as a nikon user, I dont buy anything nikon except the bodies. no lenses, flashes or even batteries. Wow. Dpreview now covers rumors? Sony is so popular, I’m sure this rumor article here will be a well read. A9 has already did that. No A9II needs to be released. Too of that A7III won the best camera of the year. Who can hold Sony now. 48 native lenses. Vs. 2-3 for the older giants. I would like to see a sensor with 18 stop DR. Everyone won’t benefit of 50+ megapixels but everyone will benefit of large DR. I think I know the answer, but any possible way the a7iii gets animal eye AF in an update? How about reimplement the intervalometer you removed for no reason Sony? I want an RX100 VII with computational photography similar to what is in smart phones (stacking, HDR, night-scenes, etc.). I think it would be a game changer in the industry. I shoot exclusively with old, manual focus lenses on my A7RII. For awhile now, I thought it would be great if the existing Eye-detection feature could be used as a shutter release for use with an MF lens. Such a mode would work like this: Press and hold the shutter release while focusing the lens or moving the camera. As soon as the camera detects that the eyes are in focus, it fires away. An option should be given to allow the user to select the number of photos fired per focused shot. I have a pretty good good hit rate as-is but I think this mode would have potential to raise that to an even more reliable level and in less time with moving subjects (kids). I don't see a lot of people talk about this, but I would really like to see Sony bring the Sony Play Memories camera apps back. I still have access to them on my a7R2, and despite being a pain to download them and receive updates, they were great idea that further separates their offering as well as expand the capabilities of their product lines. I personally like the smooth reflection app and timelapse apps. The smooth reflection app does an awesome job of taking multiple exposures and using in camera technology to mimic the look of an ND filter, the best part is that it creates these images as regular RAW files. I also think that there was real promise in the Smart Remote Control app, essentially functioning like a CamRanger. Though it fell short, with a few updates it could have been great. I'll admit, I don't use these Sony apps all the time, but I think they are really cool, innovative, welcome features for pro body cameras. 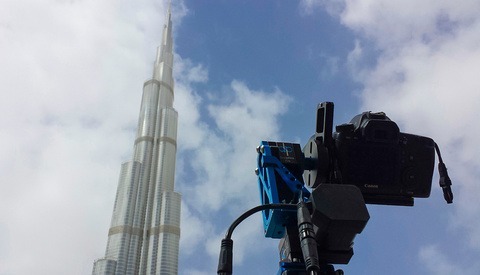 They were taking some of the cool software found in high end smartphones and merging them professional camera bodies. In addition, I'd like to see Sony manufacture some Tilt Shift lens options. Nothing wrong with a Sony, Metabones, Canon TS combo, but I'd be interested in seeing how a Sony Tilt Shift would perform. Can someone explain how a 12mp sensor can output 6k video? Sony needs a good WALKABOUT MINI ZOOM. In particular I mean a small 25-50 F/3.3 or somewhere thereabouts. Here's the problem. The 24-70 F/4 is a disgrace for the Zeiss badge. It is optically no better than a 28-70 kit lens and worse than the 24-105 F/4 G. It's not $50 zoom terrible, but it is very average and nobody wants to pay $1000 for very average. Sure, there is the 24-70 F/2.8 GM and the 24-105 F/4 G but not everyone wants to carry a bazooka. This is particularly so with diminutive bodies like the A7 series and ever more attractive cameras in smartphones. -- A good focal range for street and travel photography and convenient cropping. Wide enough for landscapes, long enough for portraits and bracketing the point&shoot 35mm angle. -- Fast enough aperture (around F3.3~3.4) without making the lens bulky. The lens should be about the length of the excellent 55 F/1.8 and perhaps a bit fatter. That is a very, very handy size. -- Limiting the zoom range afford superlative optical performance without too many elements (transmission loss). BTW, forget OSS. Anyone who cares will buy a body with in-camera stabilization. No need for the additional complexity and cost for a feature which in contemporary A7 bodies is redundant anyway. Keep it simple, keep it small, keep it razor sharp and keep it free of distortions. Chromatic Aberrations is not important in the age of lossless lens correction profiles in the camera, so if anything has to give let it be CA.